NAVIGATION, TOIT PANORAMIQUE, AFFICHAGE TÊTE HAUTE 10, CAMÉRA DE RECUL 360 AVEC ALERTE DE CIRCULATION TRANSVERSALE ET SONAR DE STATIONNEMENT, MONITEUR D'ANGLES MORTS, SYSTÈME PRÉ COLLISION À DÉTECTION DE PIÉTON / CYCLISTE, AIDE AU SUIVI DE VOIE, INTÉRIEUR CUIR, SURFACES DE SIÈGES DEMI-CUIR ANILINE, SIÈGES AVANT ÉLECTRIQUES / CHAUFFANTS ET VENTILÉS, SIÈGES CONDUCTEUR À MÉMOIRE, VENTILATION AUTOMATIQUE BI-ZONE, AUDIO PREMIUM MARK LEVINSON AVEC ÉCRAN 12.3 / APPLE CARPLAY / ENFORM 2.0 / AM / FM / CD / USB / AUX / MP3 / WMA / RADIO SATELLITE INTÉGRÉ À 17 HAUT-PARLEURS, RECHANGE SANS FIL POUR TÉLÉPHONE INTELLIGENT, VOLANT GAINÉ DE CUIR / CHAUFFANT / INCLINABLE ET TÉLESCOPIQUE ÉLECTRIQUE AVEC PÉDALIER DE CHANGEMENT DE VITESSES / COMMANDE AUDIO / BLUETOOTH ET RÉGULATEUR DE VITESSE À RADAR, SMART KEY SYSTEM, DÉMARRAGE À BOUTON POUSSOIR, HAYON À COMMANDE ASSISTÉ, FONCTION AUTOMATIQUE DES PHARES DE ROUTES (DEL), JANTES LEXUS 18, ROUE À RÉDUCTION DE BRUIT, ÉCLAIRAGE AMBIANT, ESSUIE GLACE ACTIVÉ PAR LA PLUIE ET ENCORE PLUS!! LA ES 350 2019 EST UN MODÈLE DE NOUVELLE GÉNÉRATION LEXUS QUI COMPREND; NOUVELLE ARCHITECTURE GLOBAL / PLUS BASSE, PLUS BASSE ET EMPATTEMENT ALLONGÉ / MOTEUR V6 3.5L À INJECTION DIRECTE / NOUVELLE BOÎTE AUTOMATIQUE À 8 RAPPORTS / NOUVEAU DESIGN EXTÉRIEUR SPORTIF ET AUDACIEUX / CONCEPTION INTÉRIEUR AXÉE SUR LE CONDUCTEUR / GROUPE DINSTRUMENTS NUMÉRIQUE, PALETTES DE CHANGEMENT DE VITESSES / SYSTÈME DE SÉCURITÉ LEXUS 2.0 / SYSTÈME AUDIO ENFORM COMPATIBLE APPLE CARPLAY ET PLUS ENCORE. LSS+ 2.0 INCLUS: SYSTÈME AIDE AU SUIVI DE VOIE, SYSTÈME DE PRÉ-COLLISION AVEC DÉTECTION DE PIÉTONS / CYCLISTES, RÉGULATEUR DE VITESSE DYNAMIQUE À RADAR ET FONCTION AUTOMATIQUE DES PHARES DE ROUTE. 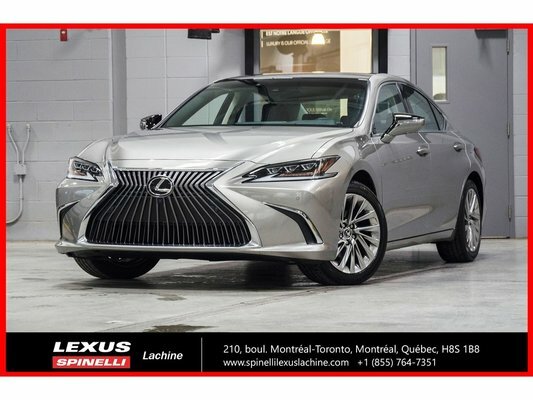 Profitez de nos promotions mensuelles sur nos véhicules neufs chez Spinelli Lexus Lachine. Obtenez jusqu'à 5 000$ de rabais à l'achat comptant sur certains modèles sélectionnés. Certaines conditions s'appliquent, offre d'une durée limitée! Nous sommes ouvert le samedi. Détails chez Spinelli Lexus Lachine. GPS, PANORAMIC MOONROOF, 10 HEADS UP DISPLAY, 360 BACKUP CAMERA W / REAR CROSS TRAFFIC ALERT AND CLEARANCE / BACKUP SENSOR, BLIND SPOT MONITOR, PRE COLLISION SYSTEM, LANE TRACING ASSIST, PREMIUM FULL LEATHER INTERIOR, SEMI-ANILINE SEATS, ELECTRIC / HEATED AND VENTILATED FRONT SEATS, DRIVERS MEMORY SEATS, AUTOMATIC DUAL ZONE CLIMATE CONTROL, MARK LEVINSON PREMIUM AUDIO W/ 12.3 DISPLAY / APPLE CARPLAY / ENFORM 2.0 / AM / FM / CD / USB / AUX / MP3 / WMA / INTEGRATED SATELLITE RADIO W/ 17 SPEAKERS, WIRELESS SMARTPHONE CHARGING PAD, LEATHER WRAPPED / HEATED / POWER TILT AND TELESCOPIC STEERING WHEEL W/ PADDLE SHIFTER / AUDIO CONTROL / BLUETOOTH AND DYNAMIC RADAR CRUISE CONTROL, SMARTKEY SYSTEM, PUSH START BUTTON, TOUCH FREE POWER BACK DOOR, AUTOMATIC HIGH BEAM (LED), 18 LEXUS ALLOY WHEELS, NOISE REDUCTION WHEELS, AMBIENT LIGHTING, RAIN SENSING WIPERS AND MORE!! THE 2019 ES 350 IS A FULL MODEL CHANGE VEHICLE WHICH INCLUDES: NEW GLOBAL ARCHITECTURE / LOWER, WIDER AND LONGER WHEELBASE / UPGRADED 3.5L ENGINE W/ DIRECT INJECTION / NEW 8 SPEED DIRECT SHIFT TRANSMISSION, NEW SPORTY / BOLD EXTERIOR DESIGN / DRIVER ORIENTED INTERIOR DESIGN / ALL DIGITAL INSTRUMENT CLUSTER / PADDLE SHIFTER / LEXUS SAFETY SYSTEM 2.0 / ENFORM AUDIO W/ APPLE CARPLAY COMPATIBILITY AND MORE. LSS+ 2.0 INCLUDES: LANE TRACING ASSIST, PRE-COLLISION SYSTEM W/ BICYCLE AND PEDESTRIAN DETECTION, DYNAMIC RADAR CRUISE CONTROL AND AUTOMATIC HIGH BEAM. Take advantage of our monthly promotions on our new vehicles at Spinelli Lexus Lachine. Get up to $5,000 in cash on selected models. Some conditions apply, limited time offer! 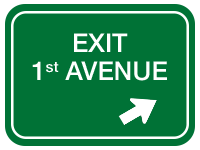 We are open on Saturdays. Details at Spinelli Lexus Lachine. Engine : V-6 cyl - V6 cyl. "Just bought my 15th Lexus from Group Spinelli"
* Spinelli Lexus Lachine ensures that its advertisements are in conformity with all applicable regulations. However, some errors may remain due to factors outside of our control. In all cases, please verify the offer with our dealership to ensure price and vehicle conformity. It is not an offer to form a contract.